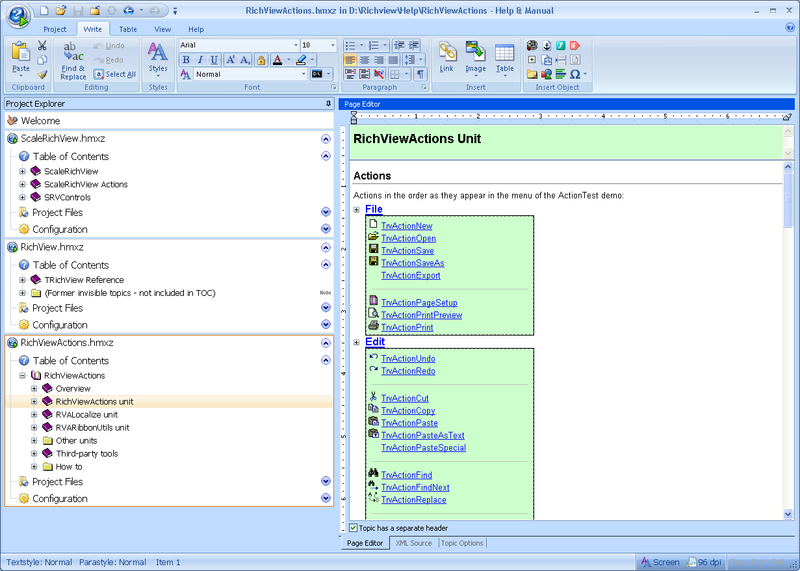 Help & Manual is a single-source help authoring and content management system for both single and multi-author editing. Help & Manual also generates Webhelp, PDF and Word RTF. In addition to this you can generate fully-formatted printed manuals directly from the same projects used for all the other formats. 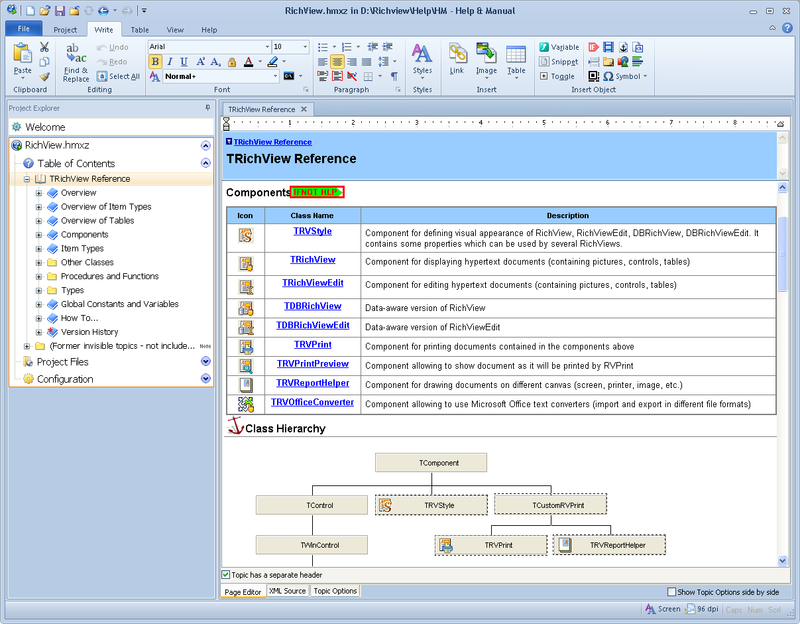 Our TRichViewEdit component is used in Help & Manual for editing help topics. 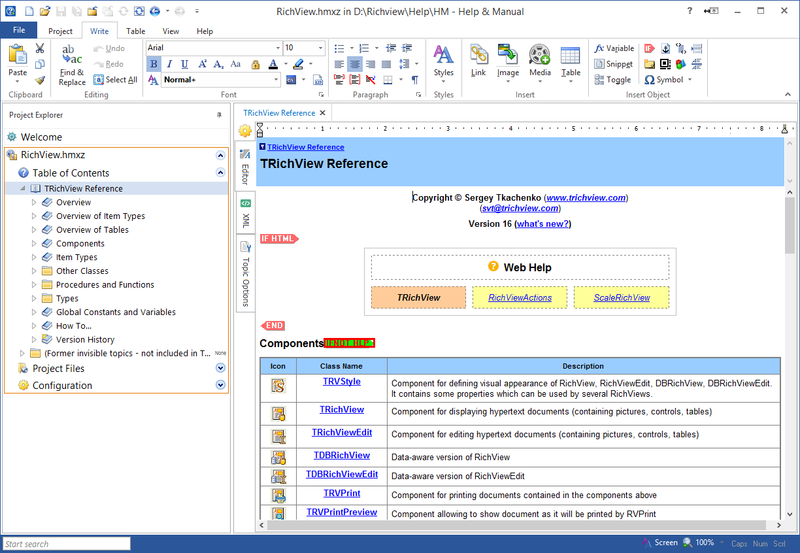 All our manuals for TRichView, RichViewActions and ScaleRichView, including online manual were created in Help & Manual.